The Lough Derg RNLI came to the assistance of two people afte the engine on their cruiser caught fire. 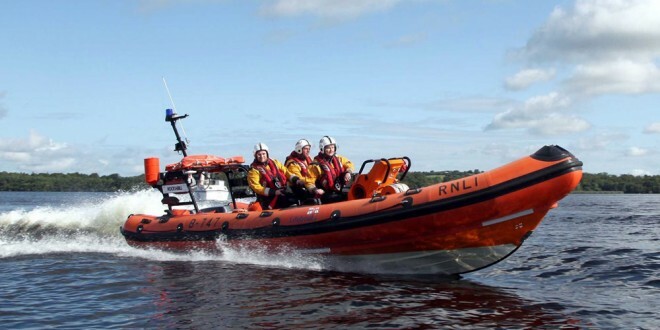 The Lough Derg RNLI came to the assistance of a fisherman who got into difficulty on the lake on Sunday evening. The lifeboat was launched just before 6pm when the man’s boat became wedged on a rocky shoal in Youghal Bay. The fisherman, uninjured and wearing a lifejacket, was taken on board the lifeboat while his boat was then taken off the shoal and towed to Youghal Bay. Lough Derg RNLI Deputy Launching Authority Peter Kennedy said boat users should bring charts with them and know the areas close to shore marked as un-navigable.